"An art retreat like no other"
This workshop is 12 hours. With some simple tools and layman-ready information, this mundane material comes thrillingly to life. Super-strong, versatile and - best of all - beautiful, this amazing wire can perform like no other material can. 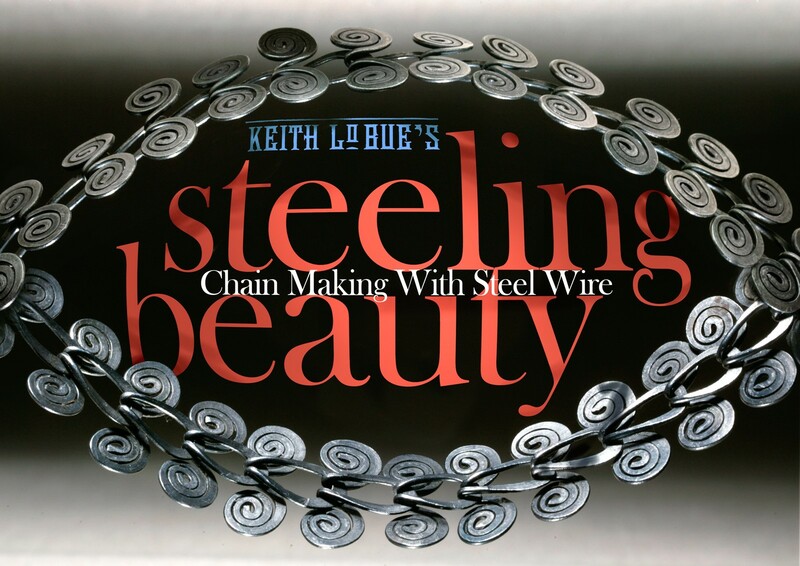 Join internationally-known artist and found-object "stuffsmith" Keith Lo Bue as he delves into the world of steel wire creativity. Whether you're interested in jewelry, sculpture, mixed-media, textiles or any number of other creative pursuits, STEELING BEAUTY will provide in-depth information and instruction on safely, efficiently and properly working with and caring for this magic stuff. During the two days of class you'll create a variety of stunning designs. Clasp and bail ideas will be discussed and shown as well. No previous metals experience necessary, just enthusiasm and the desire to learn. Create beautiful things with steel wire from one of the artists responsible for bringing it to a mainstream audience and making it such a popular alternative to precious metals. Please note that SJ Jewelry Supply has an extensive selection of products but not all of them may appear on their website. If in doubt about the availability of any product, a simple phone call will get you the information that you desire.